There are lots of ways for a self-published book to get professional reviews. Readers usually read reviews before purchasing a book. Here are some ways you can get some professional reviews to add your book that aren’t just from your family and friends. 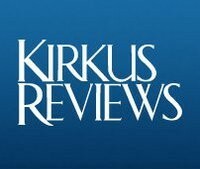 Kirkus reviews over 5000 titles a year. Now, self-published authors you can submit their books to Kirkus for review. A standard reviews is $425 and takes 7-9 weeks. By paying you’re not guaranteed a positive reviews. However, if you do get a negative review you have the option to keep the review private. 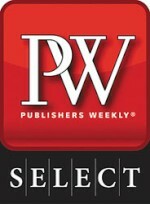 Publishers Weekly takes book reviews when someone participates in their self-publishing program called PW Select. Not everyone who participates in the program is guaranteed a review. Blue Ink reviews exclusively reviews indie and selfpub books. A standard reviews is $395. for a review in 7-9 days. There’s an extra charge for a fastrack review. NetGalley is way for authors to pitch their titles to bloggers and reviewers all from one location. IndieReader used to charge for book reviews. But now they just take submissions. IndieView has a fantastic list of blogs that you can pitch your book to get reviews. Some are paid, most are free. Like our list? Are we missing some? Drop us a line in the comments section below.